It’s freezing. You should probably go home, crawl under a blanket and hibernate. Go to a bar, eat spicy gumbo, knock back a few drinks and heat up a dance floor. 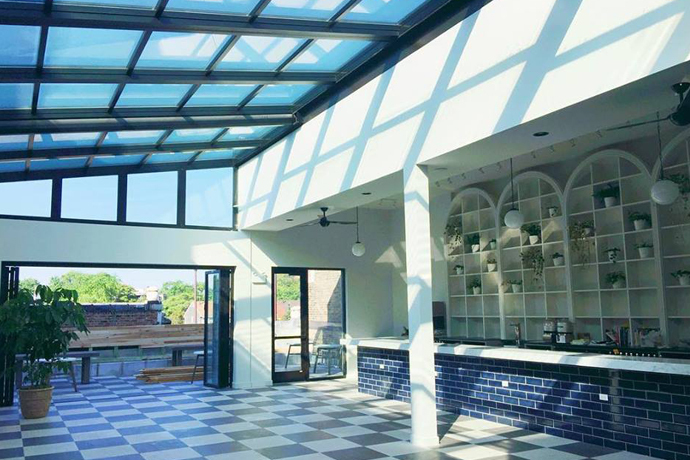 For the latter, there’s Analogue, a new den of vinyl records and good cocktails, opening tonight in Logan Square. This is from a couple of Violet Hour vets. So, yes, serious mixology will be going on. There will be local vermouth in your Strike Anywhere, and it will be the only place in the city where you can try Letherbee’s first fernet (ask for the Double Take). But look around. There is nothing pretentious about this place. It feels like a working-class tavern. Simple black tables with matching chairs. If you want a $3 Bud, no judgment here. You can come for dinner. The chef does Cajun-y things like make the andouille sausage in the gumbo, and his own mustard in your roast-beef-and-ham po’boy. But mostly it’s the kind of anything-can-happen place you’ll need after your office holiday party. Down a couple cocktails. Head out on the dance floor to the rhythms of Disappears and LCD Soundsystem. Watch as things reach “unforgettable” status. Just don’t invite the HR rep.